Disposing of cat litters is considered to be among the most troublesome tasks that all cat owner needs to perform periodically. As the odor of the smelly substances often lingers in the air for a long time, you could not throw them out like normal garbage. That is why a lot of people resort to using a litter disposal system in order to take care of the wastes of their pets. While searching for suitable products, cat owners often heard about Little Locker and Little Genie which are highly sought after model on the market nowadays. Are there any notable differences between these litter disposal systems? Little Locker vs. Little Genie, which one delivers better value? Have a hard time deciding whether you should go for Little Locker or Little Genie? If that happens to be the case, you should take a look at this article. Down below, you would be provided with a comprehensive comparison regarding the specification and performance of the litter disposal systems. Once you know that the systems got to offer, you could easily come up with an answer to the" Little Locker vs. Little Genie" question. In addition to that, a short guide on how to properly get rid of cat litter is also present if you care about the environment. From the very first glance, it seems that there are negligible differences between Litter Locker and Litter Genie profile wise. Litter Genie is slightly more rounded than Litter Locker but that is pretty much it. For most of the time, you should have no trouble moving these systems around the house as you see fit. Since they don't take up a lot of room, you could squeeze them into any spots that happen to be available at the moment. Therefore, if free space in your house is rather limited, either Litter Locker or Litter Genie would match your situation. Overall, both Litter Locker and Litter Genie could be purchased by everybody with relative ease as they are quite cheap. The manufactures intend to get most of their profits from selling refill cartridges so the prices of the systems are kept low to attract customers. 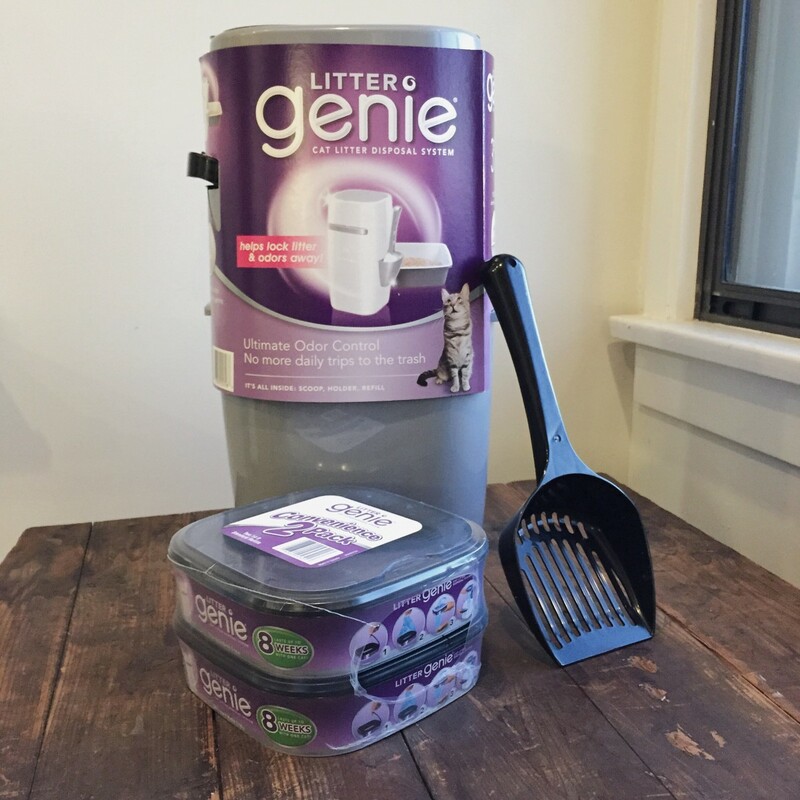 Nonetheless, depending on where you live, Litter Genie could be sold at a much lower cost compared to Litter Locker. So in the case you have a tight shopping budget and want to save as much money as possible, Litter Genie is your best bet. Needless to say, the litter disposal system mostly acts as a temporary storage, it's not designed to keeps the waste of your cats forever. Once the bin is full to its brim, you have to bring the litter to the trashcan for final disposal. In theory, Litter Locker and Litter Genie should be able to hold up to two week worth of cat litter before they require a disposal. As a result, you no longer have to take the litter box to the trash can every says and most cat owner would definitely appreciate that. No one in their right mind wants to buy a disposal system that is unable to keep the smell of the accumulated litter under control. 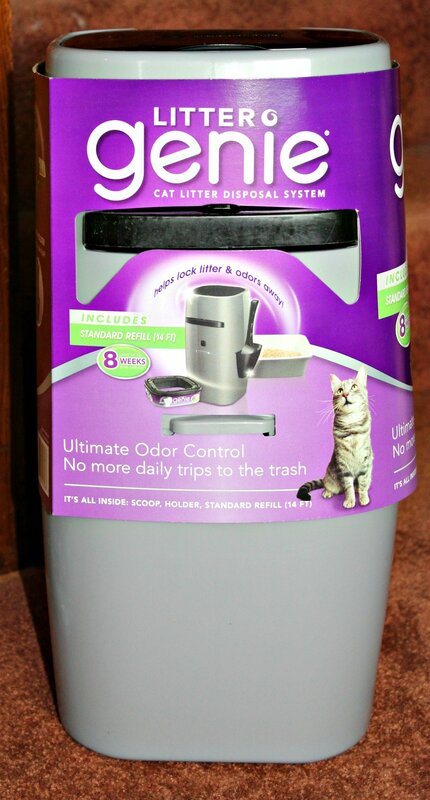 Fortunately, both Litter Locker and Litter Genie could withhold the litter odor effectively and efficiently. Nonetheless, in heavy use condition (such as multiple cats), Litter Genie might lose its ability to block litter smell after slightly over half a year. On the other hand, Litter Locker would have no trouble regulating the odor for a much longer period of time. So if you want to minimize the number of replacement you must buy in a year, just grab Litter Locker. Most of the litter disposal systems have straightforward operations, the same can be said about Litter Locker and Litter Genie. Generally speaking, all you have to do are open the lid, scoop the litter and proceed to drop them in. After that, simply engage the locking mechanism and you could call it a day, there is nothing more to do besides cuddling with your cats. 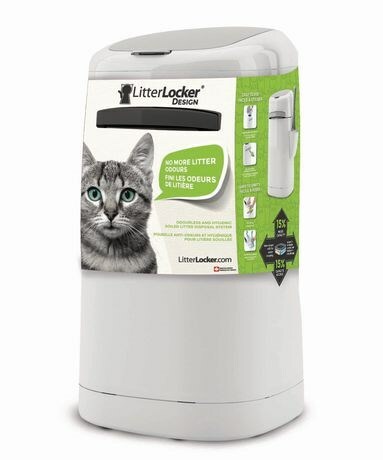 The refill cartridges of Litter Locker and Litter Genie could last for around 2 months and it's simple to make replacement in times of need. All things considered, Litter Locker and Litter Genie are high-quality products that virtually anyone could use to good effects. When it comes to Little Locker vs. Little Genie competition, there is no definite winner as each litter disposal system offer unique advantages and disadvantages. Hence, it's up to you to decide which one you should use by thinking about what value appreciate. Once you manage to include your needs and requirements, it's not difficult to determine the best course of action. Now you know what you should keep in mind regarding "Little Locker vs. Little Genie", let talk a bit about litter disposal and associated issues. As insignificant as they appear, litters have considerable effects on the state of the environments. Various cat owners have been looking for a green, environmentally friendly way to dispose of the wastes of their cat. In the case you share the same concern, here are something you have to remember. Clay-based litters are indeed useful but if you want to reduce carbon footprint, consider using organic based ones instead. Green litters tend to produce relatively few bags of dust and could be used as renewable resources. If you have a garden around, you could attempt to compost the wastes produced by your cat along with the organic liters in the litter box. Be careful and try to follow the local regulations in order to get the desired results. It's tempting to simply throw the litters into a plastic bag and throw it into the trash can. Many litter disposal systems are even made to work with common plastic bags as well. That being said, you should use something that could decompose in a short period of time to protect the environment.